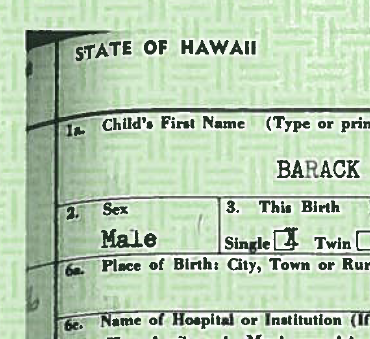 There have been some YouTube videos and articles published that argue the Obama long-form birth certificate is a fake because the green basket weave background is horizontal, but some of the print is curved, meaning that the birth certificate was “pasted” onto the green image, and not a real paper document. 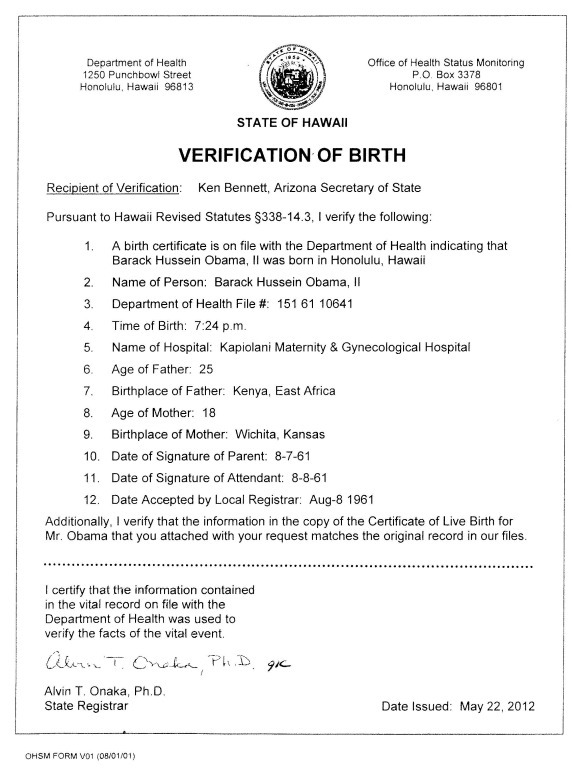 This argument is based on a misunderstanding of how birth certificates are made, not just in Hawaii, but all across the country. 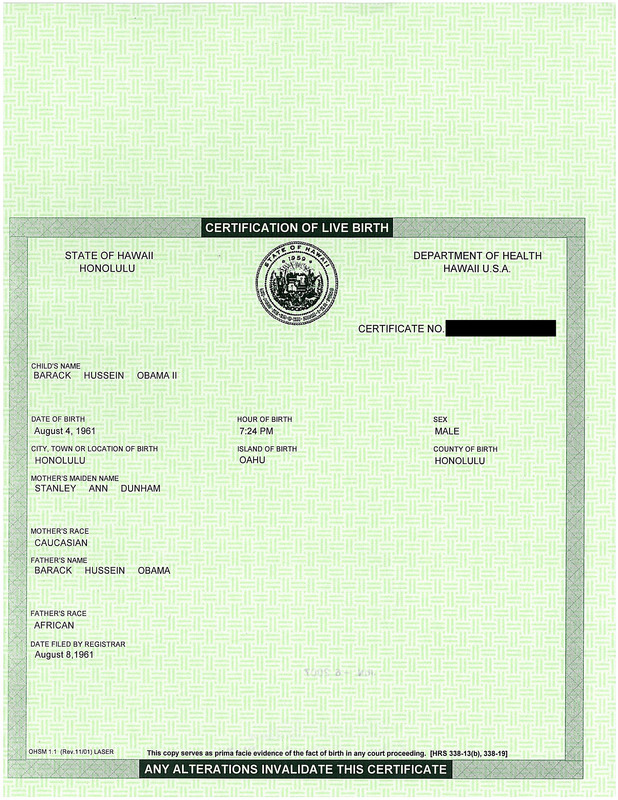 States use hard-to-copy security paper for the birth certificates they issue. 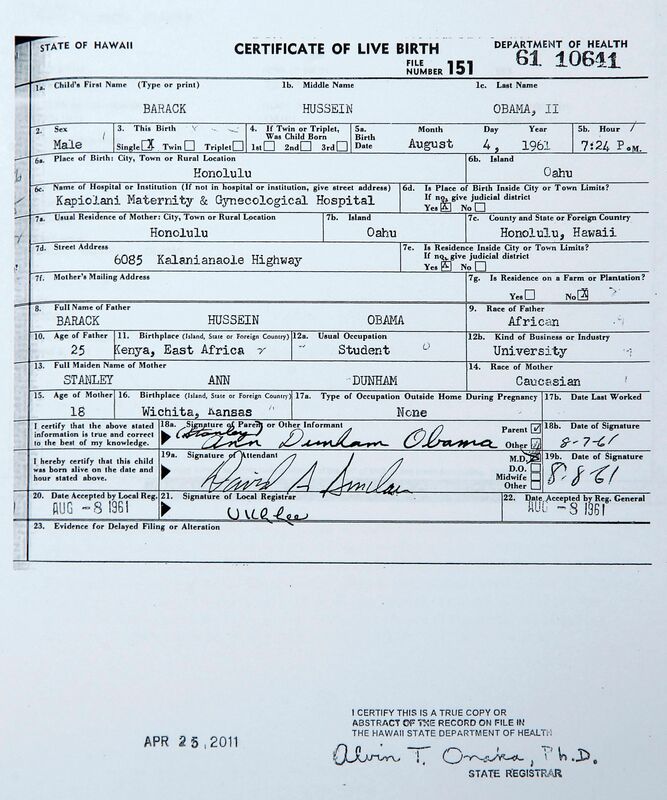 When a certified copy is made of an original birth certificate or a computer-generated certificate is printed, these are simple black and white images printed onto security paper. 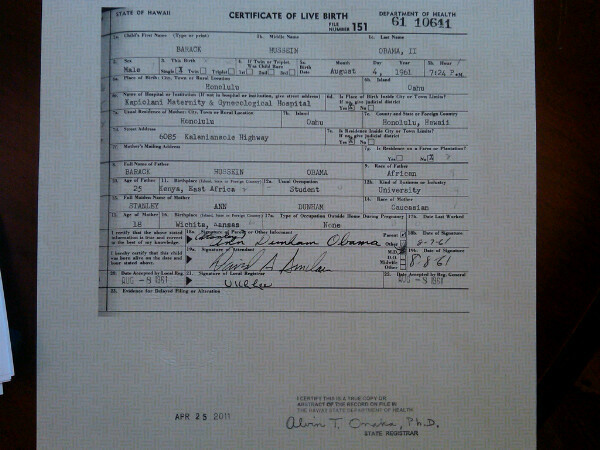 The original certificate is on plain paper. 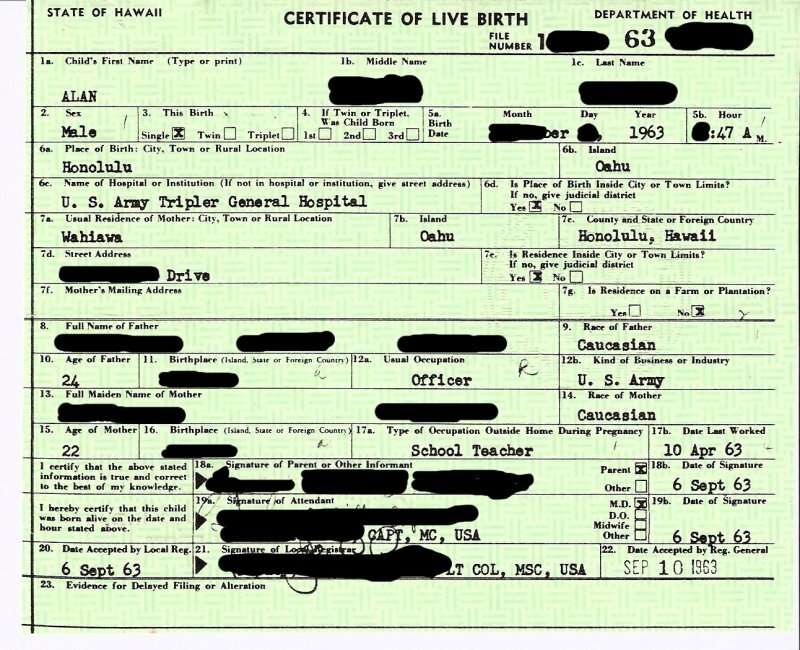 This is why you can see Hawaiian birth certificates for births in 1904, 1961, 1963, and computer-generated certificates from 2007 all on the same security paper. 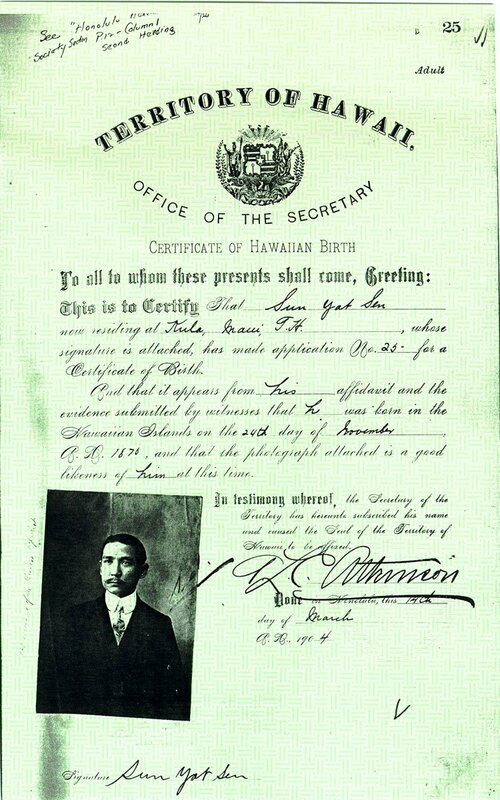 This doesn’t mean that the birth certificates in the state vital records vault have had the same security paper for over 100 years! 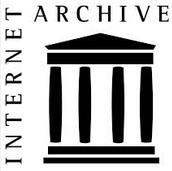 It means that all of these images are recently-made and printed onto the same paper. Naturally the commercial basket weave security paper stock is never curved, but a curved image could be printed onto it.